So you've decided to set up a website. This is the first step in an important process all entrepreneurs have to go through. It is no longer possible to build a successful business or brand without a website, in addition to any other online presence. Your website will tell customers who you are, what you do, and how you can benefit them. Unfortunately, setting up a website is not something that is taught in high school or business school. It’s one of those things you're meant to figure out on your own, even if your knowledge of technology is limited. The good news is that setting up a website is not difficult. There are a few decisions you need to make on the way that will lead to your success. 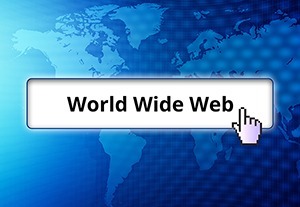 One of the most important decisions you will make is on who you choose to provide your web hosting. It is something a lot of people take for granted, and they choose the cheapest and most convenient. However, because it is so important, you should take time with your decision. Take a look at the following factors when choosing your hosting. Technically, a shared server will serve most people’s needs. It is the option most people choose and they don’t face any problems. Speeds are fine, traffic flows, and outages are rare. But there are advantages to using a virtual private server (VPS). And when you choose one of the best rated VPS hosting services, you will see the benefits. Essentially, your server will be more powerful, stable, reliable, and flexible than a shared server. VPS is best suited to people who have a good idea of what they're doing, and if you are a beginner, you'll need to read up a bit more before choosing a VPS. When choosing web hosting, you are putting a lot of power in the hands of the provider. Not that they're power-hungry megalomaniacs. It is more a matter of you giving up control than them taking control. The thing is, since you no longer have that power, you have to be sure it will be in good hands when things go wrong. When there is an outage or a system failure, you need to know that they'll do their best to fix the problem while keeping you constantly updated. There are few things worse than knowing only that there’s a problem, and having no way of fixing it yourself. For this reason, customer service should be one of the most decisive factors when choosing web hosting. There are a lot of providers that look great on paper, in that their servers are reliable, affordable, and powerful. But if you look at user reviews and see unhappy people, this is a sign you should stay very far away. Choosing the right web hosting is one of the most fundamental decisions you'll make when setting up your website. It can be the difference between success and failure. Take some time making up your mind, and be sure you see what other customers are saying.